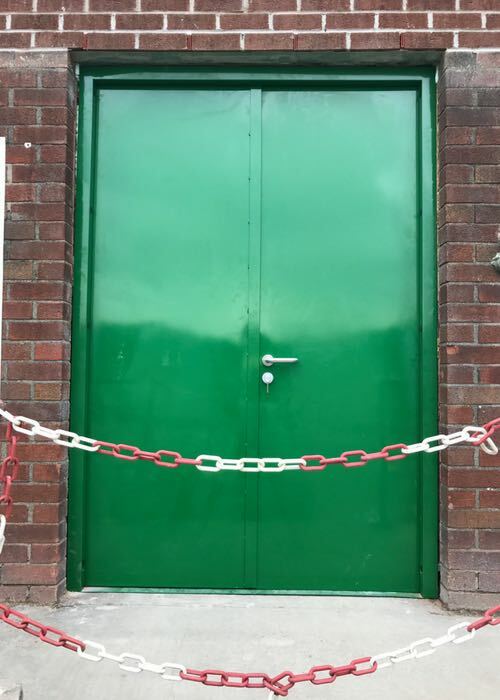 We’re currently working on a high value project for United Utilities in Liverpool which involves removal of all old inadequate wooden security doors on their waste water site. They wanted to increase the security of the doors on their site and to modernise their security and escape doors. We’ve worked with United Utilities in the past and due to developments in their health and safety procedures all our team went on a EUSR training course to keep up to date on health and safety procedures on a clean water site. This included ways to avoid contaminating the water and how to accommodate for local wildlife that are attracted and live near to clean water sites. This has also improved our own PPE due to learning to methods and ways to keep safe on site. In our own manufacturing base we manufactured 26 bespoke door sets of high security steel doors using our own CNC system. We fitted these doors to the highest standards to bring up to date their site security.